Idaho General Contractors are required to file an application for registration and provide proof of insurance. For those holding a Public Works or Construction Manager license, there are no fees for the initial registration Trade exams are not required for a general or specialty contractor. 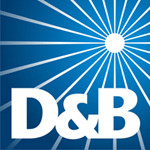 Idaho Electrical Contractors and Idaho Plumbing Contractors must pass the trade examinations. All examinations require that you have a working grasp of the National Electrical Code, and a basic level of theory knowledge An Idaho Electrical Contractor and an Idaho Plumbing Contractor must be certified before a permit application can be filed. Contact our office for Specialty Journeyman requirements. Questions regarding General Contractor Licensing Requirements and processing times Contact A1 Contractor Services, LLC Today!! How Does Idaho’s Contractor License Registration Law Affect You? 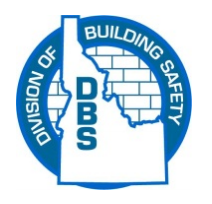 Idaho law requires general contractors to provide certain disclosures to property owners and customers. General contractors must provide a disclosure statement, prior to entering into a contract in excess of $2,000 to construct, alter or repair residential real property, or for the purchase and sale of newly constructed property. The contractor must also provide an acknowledgment of receipt to be executed by homeowner or purchaser, retain proof of receipt and provide a copy to the homeowner or purchaser. Master certification for Plumbers and Electricians. Resident agent service for out-of state contractor corporations. If you need information regarding Idaho Contractors Licensing Requirements and want professional consultation, contact us today! We’re an experienced Idaho contractor assistance company with competitive pricing and will ease the stress of dealing with state agencies to get your Idaho State Contractors License from the Idaho Contractors Licensing Board.